FLC Systems is currently constructing Phase 2 of the Navy Federal Credit Union in Pensacola, Florida with Hensel Phelps. Phase 2 is a massive $594 million project that will construct two, six-story buildings with combined floor space of 1 million square feet, enough room for an additional 5,000 work stations. “Construction for Phase 2 is expected to get under way by October or November of this year,” said Kim Aderholdt, Navy Federal’s project manager for both Phase 1 and 2. Completion of Phase 2 construction is anticipated in the first quarter of 2019. And to put the enormous size of Phase 2 in perspective, the two buildings with a combined 1 million square feet, will equal the size of Buildings 1, 2, 3, 4, 5 and 6. 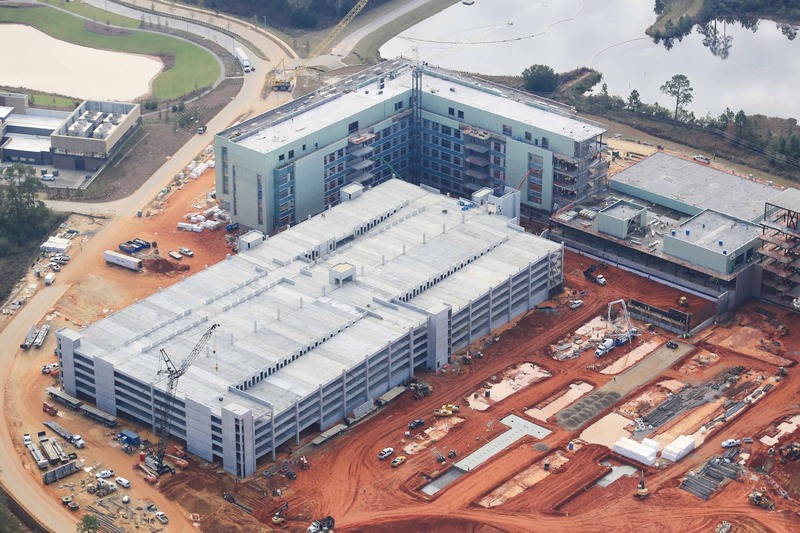 Once Phase 2 is completed and the office buildings occupied, the Navy Federal’s total capital investment at the Beulah campus will exceed $1 billion.